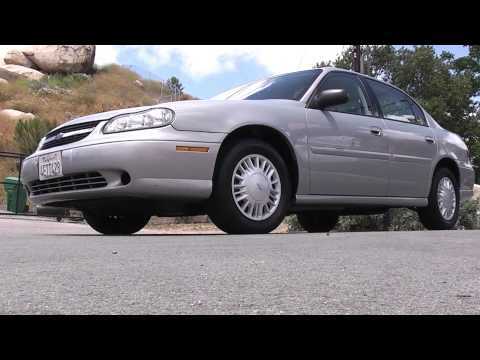 Reliable 2000 Chevy Malibu with PW, Power Doors, Cruise, and in Outstanding Condition! My mom is currently 94 years old and bought a brand new 2001 Chevy Malibu in 2001. It was the base sedan (4-door) model but was very nice to drive and had only 42,625 miles on it when I hit a telephone pole on Valentine's Day of this year (2018) and totaled it. We liked the car so much I searched nationwide for about 7 weeks for a similar model. I drove about 2 hours to another city and bought a 2000 Malibu (exact same color) with less than 51,000 miles on it. Good Carfax. Paid $3,000 cash and Carfax valued it between $5,200 to $5,800! Almost immaculate condition, as our previous 2001 model was. We bought the car because we were totally familiar with it, it had served us extremely well before, and we did not need or want the new contraptions that come on all the new cars (GPS, keep-you-in-your-lane feature, sensors,..you name it). My dad always said the more it has on it, the more that can and will break down on you. He was right! My car is small but still big enough for four adults. Gas mileage is good. I have had a lot of recalls on my vehicle, which is upsetting. It also takes time out of your day to take it back. The performance is ok, it rides good. It has been reliable all except for one time. The features in my car were better than the car I had before this one, so I was happy. If I were to get another car, I would get another type of vehicle. I might stay with a Chevrolet or might change. I have always had a Chevrolet and this is the first time I have had so many recalls. I also have a electrical problem, that I have to take care of, and am sure that is not going to be cheap. Comfortable. Inside the vehicle has plenty of room. Wheelchair and 4 other people. My car does not. Lock anymore. Getting it repaired is 150. -200.. I am missing the drivers side window.. Visor makes it hard to drive in the morning or at night facing the sun.. It has a sensor under hood attached to air conditioning system goes off every day.. I feel like I am being nickeled and dimed after buying it used.. I had to buy 4 new tires after paying a firm price of 2000.. These vehicles fail to comply with the requirements of FMVSS No. 301, "Fuel System Integrity", because the fuel fill fitting is not properly secured to the fuel tank and could leak an excessive amount of fuel. Fuel leaks may occur, particularly after refueling or when the tank is more than half full. If an ignition source were present, a fire could occur. Dealers will inspect the fuel tank and replace it if necessary. Owner notification began Nov. 18, 1999. Owners who do not receive the free remedy within a reasonable time should contact Chevrolet at 1-800-222-1020.